Rachael Ray 16pc Dinnerware Set - BONUS Matching Serving Bowl Just $29.97! $200 VALUE! PLUS FREE Shipping! You are here: Home / Great Deals / Christmas Deals / Rachael Ray 16pc Dinnerware Set – BONUS Matching Serving Bowl Just $29.97! $200 VALUE! PLUS FREE Shipping! 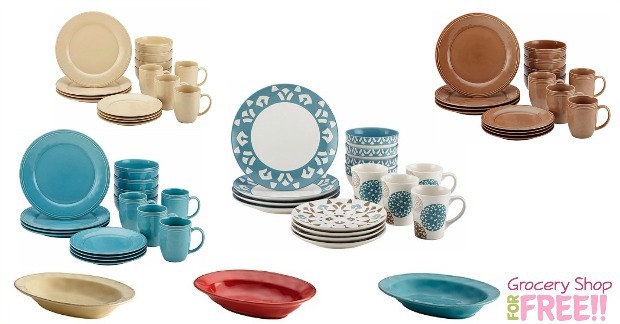 Rachael Ray 16pc Dinnerware Set – BONUS Matching Serving Bowl Just $29.97! $200 VALUE! PLUS FREE Shipping! Right now you can get a 16pc Rachael Ray Dinnerware set and BONUS matching Serving Bowl for just $29.97! $200 VALUE! PLUS FREE shipping! These are normally $140 but, they are maked down to $59.97 right now. When you order the 16pc Dinnerware set you get a $30 rebate, a 12″ Oval matching Serving Bowl (Normally $60), PLUS FREE shipping with code: FREESHIP at checkout! Others have the $30 rebate listed, but, they aren’t listed on the rebate – the colors listed above are on the rebate. >>Then head over —> here and pick out your matching serving bowl and add it to your cart.